For 2015, the Mustang underwent its first major overhaul in over ten years. Gone are the traditional old school looks and character, replaced by the most refined and modernized Mustang yet. Dubbed the S550 chassis, it is new from the ground up and shares very little with the previous generation. The most notable change was the introduction of the independent rear suspension, making it the first time a mass produced Mustang left the factory with it. Despite the new body work and axles, the S550 shares the same wheel specs as the S197. 275/40-18 tires may also be used as a direct fit. 285/40-18 tires may also be used in the rear as a direct fit. 285/35-18 or 285/40-18 tires may also be used with at least 5mm spacers up front to clear most suspensions. 295/35-18 or 295/40-18 tires may also be used with approximately -2 degrees of front camber and at least 12mm spacers up front to clear most suspensions. Aftermarket suspensions with offset struts can typically bypass spacers. See below. 295/30-19 or 295/35-19 tires can also be used with approximately -2 degrees of front camber and at least 12mm spacers up front to clear most suspensions. Aftermarket suspensions with offset struts can typically bypass spacers. See below. Approximately 25mm front spacers required with most suspensions. Aftermarket suspensions with offset struts can reduce spacer thickness. See below. 295/30-19 or 295/35-19 tires can also be used with at least -2.5 degrees of front camber and at least 20mm spacers up front to clear most suspensions. Aftermarket suspensions with offset struts can reduce spacer thickness. See below. 275/35-19 front and 295/35-19 rear tires may also be used as a direct fit. 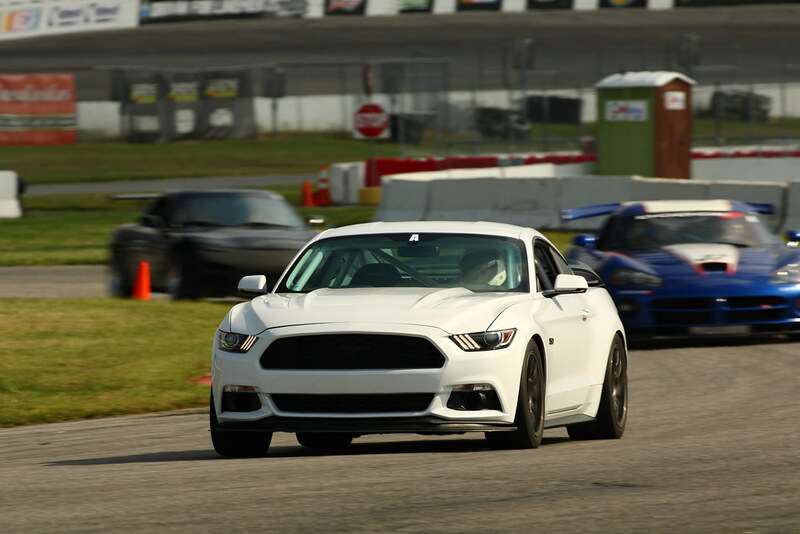 These no-compromise fitments are ideal for dedicated track / race cars. They rely on aggressive negative camber specifications and may require rolled rear fenders to prevent rubbing. Since you'll be using all available real estate under the fender arches to accommodate these wide wheels, coilovers with linear race springs are highly encouraged for inner clearance (JRZ, MCS, Ground Control, AST, Moton, etc.). Recommended for most types of street and performance driving. Allows proper front-to-rear tire rotation to extend tire life & improve handling balance. All 11” wide wheels with ET52 offset require up to a 25mm spacer on the front. For vehicles with aftermarket coilovers, often times you can run a 20mm. For vehicles that decide to run a true rear coilover, a small rear spacer roughly ¼” may be needed. Vehicles that run a divorced rear setup (like factory), will not require a rear spacer. Recommend at least -3 degrees of front camber to prevent poke. 295/35-18 or 295/40-18 tires can also be used with at least -2.5 degrees of front camber and at least 20mm spacers up front to clear most suspensions. Aftermarket suspensions with offset struts can reduce spacer thickness. See below. 315/30-18 tires can also be used with at least -3 degrees of front camber and at least 25mm spacers up front to clear most suspensions. Aftermarket suspensions with offset struts can reduce spacer thickness. See below. 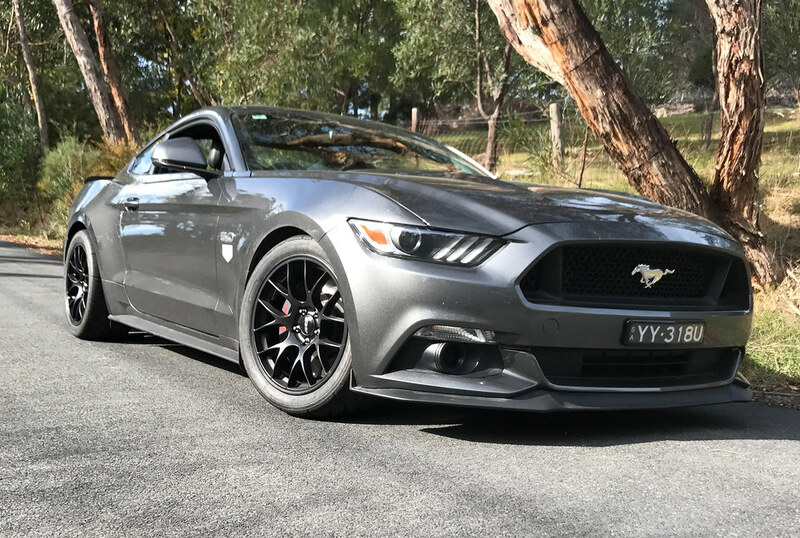 Recommend at least -3 degrees of front camber to prevent poke (except GT350/R). 315/30-19 tires can also be used with at least -3 degrees of front camber and at least 25mm spacers up front to clear most suspensions. Aftermarket suspensions with offset struts can reduce spacer thickness. See below. 315/30-19 tires can also be used with at least -3 degrees of front camber. See the image below to identify which type of suspension you have, as it may effect your wheel fitment. Adjustable camber plates do more than just aid in wide wheel and tire fitment. They provide increased grip and reduced tire wear by spreading the load evenly during cornering. 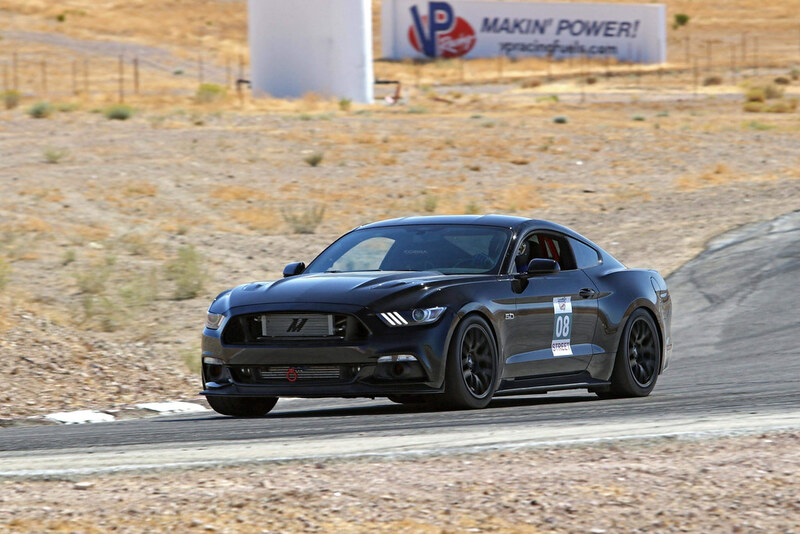 Learn more in our blog article, The Positives of Negative Camber, then see our S550 Mustang Camber plate page here. We have tested many big brake kits with most of the wheels listed in this guide. Those that have been confirmed to clear are listed in the table below. Please email us with any questions related to brake clearance, we’ll be happy to help.